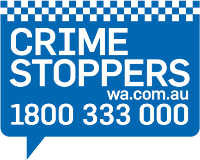 Both individual and team award nominations have been received for a wide range of work areas across the state, from members of the community, WA Police Force colleagues and officers' families. Recognising a police officer or police team with a nomination reinforces that members of the police are not simply uniforms, but also community members who share the same concerns as others. The WA Police Force is proud of the commitment and dedication of all officers and thank those who have taken the step to recognise their good work. Click on the links below to learn about past award finalists.